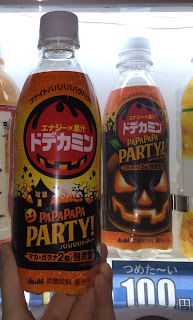 When we're in Shinjuku in March, 2016, we found an interesting soda in a vending machine. 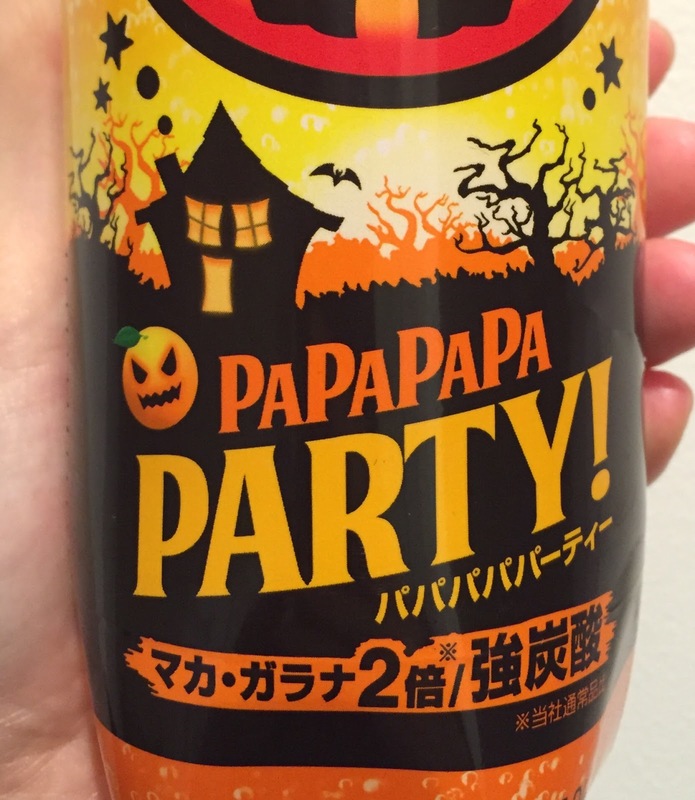 It's called Dodekamin Papapapaparty produced by Asahi Soft Drinks Co.,Ltd. It's launched on September 29, 2015, and Asahi found the high tendency that carbonated drinks are consumed at night and energy drink takers want carbonated drinks to have exhilarating feeling. 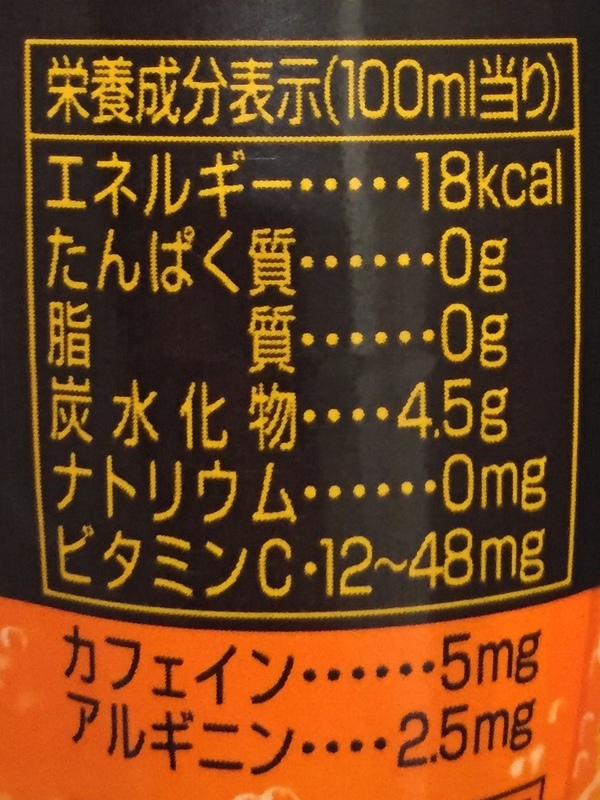 They produced this energy soda for a long Halloween night, and the soda contains about 2 times more maca and guarana than regular Dodekamin. The package design was different from the one in the vending machine. The color of the soda was as orange as the top of the label. 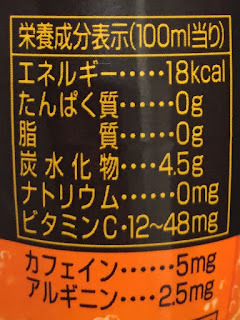 The orange colored soda had citrus flavor like orange and lemon, and though it said the gas volume in the soda was high, I didn't notice much of the difference from ordinary soda like Diet Cherry Coke.